Last week I saw the touring production of Cabaret at the Benedum Center in Pittsburgh. In general I’m not an avid fan of musicals or musical theater. I like the Rocky Horror Picture Show and have a tremendous nostalgic fondness for the movie version of Hair. I have never seen live productions of either. I saw Camelot a few years back, but that was more in the interest of my King Arthur fandom. A couple of years ago I saw a high school production of Young Frankenstein that was one of the most professional and entertaining plays I have ever seen, expanding my expectations of what a school production can be. But I don’t pay a whole lot of attention to Broadway. I haven’t even jumped on the Hamilton bandwagon yet. But there is something about Cabaret. The play premiered in 1966, but it is the 1972 Bob Fosse movie version with Liza Minelli and Joel Grey that most people think of. I saw this on TV when I was probably twelve or so. Given the content of the story which openly addressed topics like homosexuality and abortion I can’t imagine how heavily edited this had to be for television. The plot was probably incomprehensible. I didn’t actually remember anything about the plot anyway. But the music and the imagery, primarily the imagery, stayed with me. 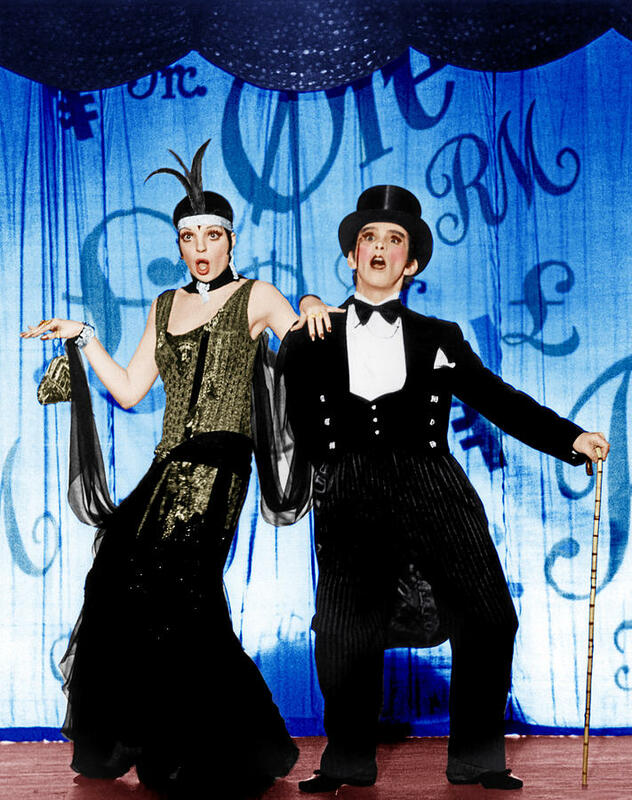 Cabaret was part of the formative Pop Cultural stew of the early 1970s when I was coming of age. Connecting lines can easily be drawn to Glam Rock and David Bowie and Rocky Horror and comics and the concepts of the Persona and the Mask that I keep coming back to. There is an atmosphere of decadence that surrounds all of these, if we broadly define Decadence in this context as deviating from the norm. Each of us spends time trying to define who we are by trying on various masks in our lives, some we continue to wear because we are expected to. At times each of us feels like an outsider, a deviant from the norm. We feel Other than those around us. I’ll come back to that idea. The plot of Cabaret revolves around an English singer/dancer named Sally Bowles and her relationship with American would-be novelist Cliff Bradshaw. Most of the action takes place in Berlin, in either the boarding house where they live or in The Kit Kat Klub where Sally performs. Part of the ongoing back story, in addition to their relationships, is the need to make ends meet and pay their rent. It is the 1930s. America is in the Depression and Germany is still recovering from the economic disaster of World War I. Cliff teaches English and receives money from his family. Sally is nearly homeless when she loses her position at the club. Their landlady’s only income is from the small rooms she is able to rent, and their neighbor is obviously a prostitute. The financial situation seems like a minor point in the larger picture, but I think it is significant. It is one of the issues that serves to distract our cast from the larger problems happening around them. What gives the story weight is that all of this plays out against the backdrop of the rise of the Nazi party. This is referenced early in the play, but it is only at the end of Act I that the real presence is felt. Act II is much darker in tone and the play ends in a pretty bleak place given what we now know about the Nazis and the Holocaust. Sally’s way of dealing with the dark side of life is to simply pretend it doesn’t exist. She wants to sing and dance and party. Life is too short to waste on bad times. Life’s a Cabaret, old chum. Her philosophy is summed up in the title song. ‟Come taste the wine, Come hear the band. In the movie there is a scene where a beautiful blonde boy, a perfect example of the Aryan ideal, sings a song called ‟Tomorrow Belongs to Me.” His voice is angelic and arresting. Soon all those around him, men and women, old and young, join in. Lyrically it is a wonderful ode to the possibilities the future holds. When you realize that within ten years all of these people, men and women, old and young, including the beautiful boy, would be loading other human beings into cattle cars and ovens, the context changes. It is chilling. What is most chilling is that this is not simply a history lesson. It’s a completely contemporary story of our times. It’s happening right now. We have people shouting all around us that the Future Belongs to Me! Not to everyone, though. Not to the people who are considered Other. There is a Jewish character in the play named Herr Schultz. He is a love interest for Fräulein Schneider, the landlady. Their engagement party is ruined when a member of the Nazi party informs her that marrying him may not be the wisest decision. She needs a license to run her boarding house, one that may not be renewed. In the end she chooses safety over love. This exchange had a very specific resonance for me. When I was working on the first issue of the Chutz-POW! comic I had the opportunity to sit down and interview a Jewish man named Fritz Ottenheimer. Fritz’s family escaped Germany in 1939 and moved to America. Later Fritz would join the United States army to go fight against his former homeland. He told me the story of his father who owned a clothing store. The elder Ottenheimer had served as a German soldier in World War I. He saw combat and was a decorated veteran. When a young Nazi soldier appeared and told people not to shop at his store he and his neighbors shamed the young man into leaving by claiming he was a German citizen and a veteran. He simply could not believe that his government would do anything to him because of this. Fritz Ottenheimer’s father spent six months in the death camp at Auschwitz. This is a true story. The people who led his country had decided that he was an undesirable Other. It didn’t matter what he had been before. It didn’t matter that he was a citizen. 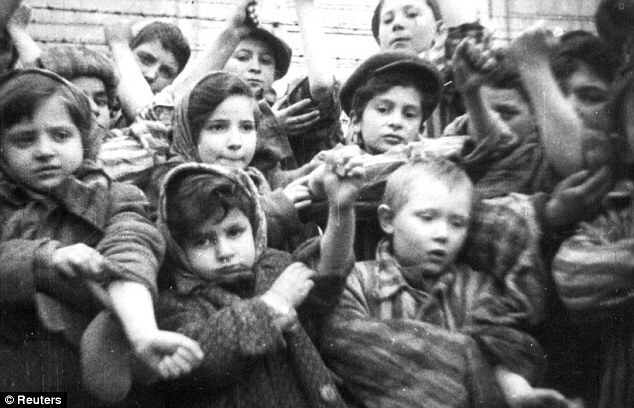 All that mattered was that he was a Jew, and the fear-mongering and hatred aimed at all Jews was enough to erase his humanity in the eyes of the general population of Germany. Choosing your own identity is one thing. Feeling like an outsider is a normal part of growing up. Often we embrace the outsider status as a part of our identity. We become part of a subculture of people who share our values. Any of us who have become part of a musical scene can identify with this. Punks, Metalheads, Rap, Country... take your pick. Comics fans. Sports fans (yes, sports fans... it’s Our team, not some Other team). Religions, mainstream and not so mainstream. Political views. Our race. Our gender. Our sexuality. All of these are ways we define ourselves and all of them involve defining ourselves as Other than something else. But there’s a big difference between choosing an identity for yourself and having one thrust on you by society, especially when it is an identity that keeps you from enjoying the equality that everyone else takes for granted. When that happens you become the scapegoat and the target of other people’s anger. It happens all the time. It’s happening right now. It’s said that the moment you begin to compare someone to Hitler or the Nazis then you have already lost the argument. While I agree that it is far too easy to simply call somebody a Nazi without understanding the full meaning of that term I also don’t think it’s fair to take the comparison off the table entirely. That’s just saying that we should ignore the greatest history lesson of the last hundred years, possibly ever. We can’t learn from the past if we can’t discuss it, and the Holocaust is something that should never be forgotten. It happened and we must be vigilant to make sure that it never happens again. Some of the questions that are always asked about the Holocaust are, How could this have happened? How could an entire country have allowed this atrocity to take place? Why didn’t anybody speak out against it? There are many complicated answers to these questions, but I think there are some core factors involved. Fear. Anger. Loss of personal control. The psychological need to absolve oneself of responsibility. Blindly following a leader who justifies and preys on your anxiety. The need to scapegoat those you don’t identify with. The need to blame the Other. How does it happen? Look around. Listen up. This is how it happens. We recently had a high ranking politician suggest that all Muslims in America should wear an identifying mark so that we would know who they are, and this received a lot of public support. This terrifies me. I’ve spoken with Jews who had to wear the Star of David so that people would know who they were. Eventually that wasn’t enough, so serial numbers were tattooed on their arms. Millions of them died in ovens and mass graves because of this identification. If you don’t think this is the same thing I encourage you to talk to a Holocaust survivor about the family they lost. Tattooed Jewish children, survivors of Auschwitz. It is the same thing. This is how it happens. Recently a friend posted a meme on Facebook. This is someone I’ve known for years. Someone I love. Someone who says they are a Christian. Someone who teaches Sunday school. The picture was of a large automatic weapon and the words on it said something like, ‟I’ve got your welcome for the refugees right here.” This terrifies me. This person who claims membership in a religion where the central lesson is the concept of compassion makes a post that laughingly recommends genocide as an answer. Am I alone in seeing the hypocrisy in teaching the lesson of the Good Samaritan to your children on Sunday and wanting to kill refugee children on Monday? ‟But,” you say, ‟It’s just a funny meme, Ha Ha.” Look at what it’s saying very closely. It says you would rather murder men, women, and children than to actually think about the larger picture and choose compassion. Lean into that sentence hard. You are recommending genocide and you think it is funny. How many steps from there to ovens and mass graves? Recent history tells me not many. I see posts all of the time about supporting our veterans, about how they are the true heroes in our country. We should honor those who died in defense of our American ideal. I agree with both of those things, strongly. My Dad is a veteran (World War II). My great nephew is a veteran (Afghanistan). I have uncles and cousins and friends and many, many loved ones who served, and some who died, in the service of our country. I salute them. I salute every veteran who is buried in Arlington. That includes the Muslim ones, and the Jewish ones, and the gay ones, and every American citizen who ever put on a uniform and made the ultimate sacrifice. Yet here we are, calling some of them terrorists because of their religion, even though that freedom is one of the things they died for, quite possibly fighting against genuine terrorists. If you don’t respect their religion or lifestyle then you make a mockery of their death. They died for freedom too. We should be vigilant against genuine threats. We should be aware of actual terrorism, whether it comes from terrorists abroad or from those who burn down churches here. But if we engage in mindless hatred and uninformed prejudice then we are all guilty of the very same kind of thinking that we are afraid of. It is a cliché to quote Nietzsche in this context, but here it is... “Beware that, when fighting monsters, you yourself do not become a monster... for when you gaze long into the abyss, the abyss gazes also into you.” Lean hard into that sentence. Are you becoming the same kind of monster you fear? This has been difficult for me to write. I fully admit to being a lot more like Sally Bowles. I would rather sing and dance and get lost in music and books and comics than to look too closely at the difficult issues around me. I don’t like being the ‟prophet of doom” she sings about in the title song. But I have spent too much time reading about the Holocaust in the last two years to not make the connections. I have lived with the stories of survivors. I have spoken with them. The horror lives on and I fear that no one hears their song of survival. Do I think this post will change a lot of minds? Maybe not. It might lose me some friends. One of the problems with seeing the world through the lens of fear is that it builds a wall around rationality. Anyone outside your personal wall is Other and therefore a threat. So I will, as Bowie says, ‟Put on my red shoes and dance,” knowing that the red shoes refer to a fairy tale with an unhappy ending. So, old chum, come hear the music play. Because it is playing. Some of it is music to dance to. Some of it is music to march to. And a march isn’t far removed from a goosestep.